Following our desire to help others, our members assist with serving meals at The Gathering Place on a monthly basis. The Gathering Place, is part of the Lincoln Action Program which offers a variety of assistance in the community. We appreciate all the volunteers that work at the gathering place on behalf of Eastridge. If you would like to volunteer, please contact the church office. 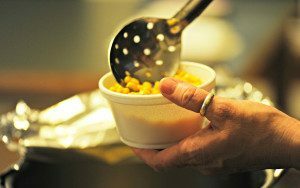 The Gathering Place Provides a free hot meal Monday through Friday between 5 p.m. and 6 p.m.